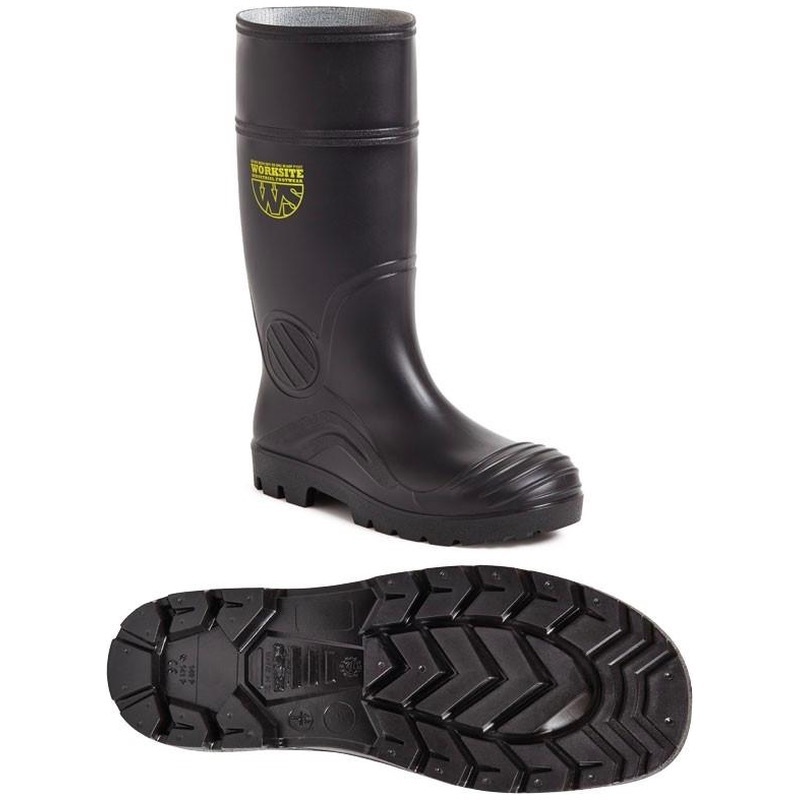 Black PVC Wellington boot. Steel toe cap and steel midsole protection. Antistatic. A wellington for those wet muddy conditions.